Here it is! The moment you've all been waiting for. 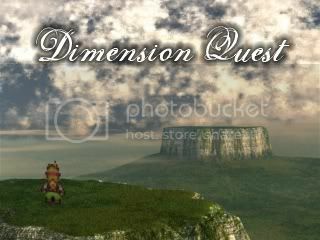 Dimension Quest is up and ready! Kinda... Full of bugs (nothing serious). There's a bunch of places you can't go, and some people you can't talk to... But that's what demos are for!!! You can import your data into future releases, so you won't have to start over once I add more. No reason not to get a head start, lol. * 90% of the music is written by me. Leave feedback VIA comments. Let me know if you encounter any problems, and I'll get them sorted out.